Thanks to all my listeners. We made the worldwide top Podcast list on Stitcher Radio.. read on..
ok I know the WORLD is huge but my show “Everything Toni Payne” was the 4th most popular show on Stitcher Radio this week worldwide..YAAAAY… I just want to take this time out to say thanks to everyone who has ever listened to, shared, recommended the podcast Everything Toni Payne”. Although fairly new, we have managed to land on some major platforms. Upon landing on these platforms, my listeners have not failed me, and for that I say thank you. I was able to be up there with the likes of Complex magazine and people who have millions of followers. To stand out and be one of the top Podcast among so many from all around the world is motivation on its own to keep bringing you all the best topics, the most interesting celebrities, the best music and of course bridging that gap between two worlds. Thanks to all my Nigerian listeners, thanks to all my American listeners, thanks to all my Ghanaian listeners, thanks to all my South African listeners, thanks to all my British listeners, in short thanks to all my listeners from all over the world. I am soo humbled and can promise you that it only gets better. Now, Im really gonna need to work on getting an app for my site.. phewwww!.. 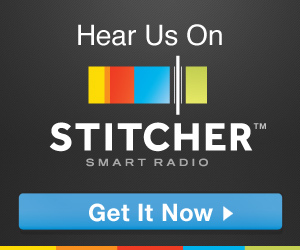 If you would like to listen or subscribe free to “Everything Toni Payne” you can do so here on STITCHER or on ITUNES. and please dont forget to drop a rating and review.. Muaah!